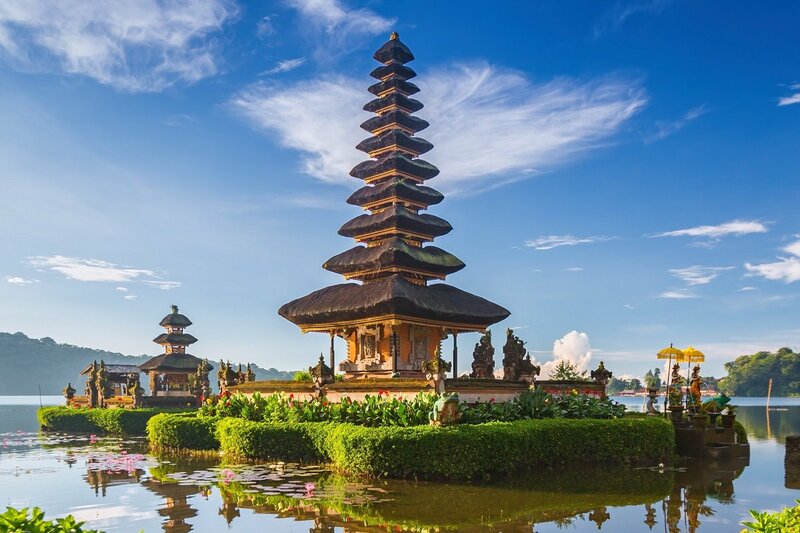 Island of the Gods - See Bali on a 15-day tour - See itinerary here! 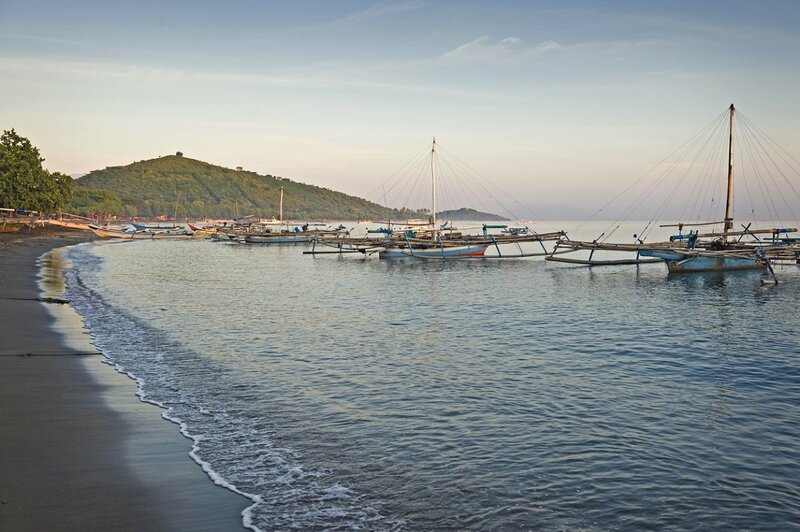 Bali really is the ‘Island of the Gods’ in many ways. In the temples, you will see men and women in traditional costumes worshipping the numerous Hindu gods with devout offerings. The countryside is divine – volcanic landscapes of tall mountains and deep valleys. 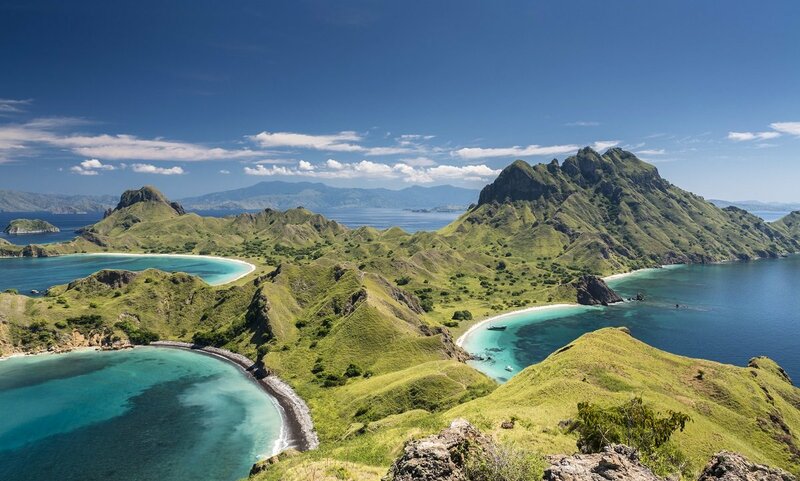 And the whole of Bali is surrounded by turquoise sea, which is dotted with magnificent diving sites and makes an idyllic accompaniment to the beautiful beaches. 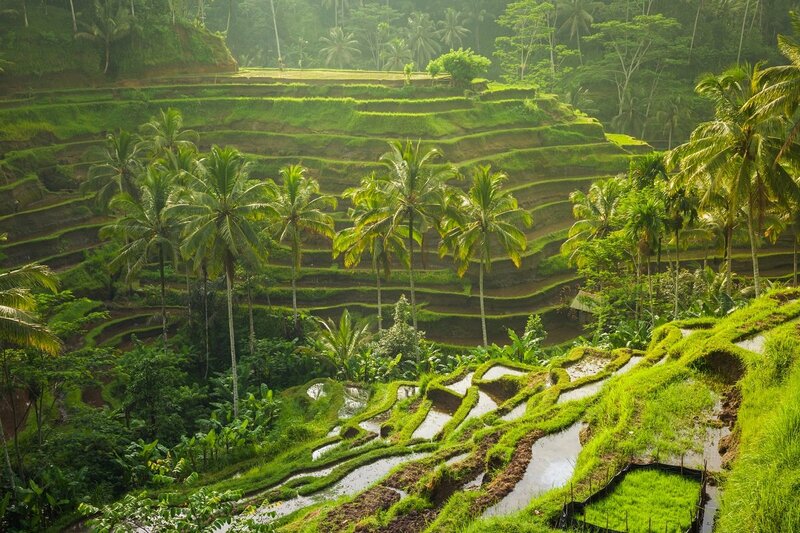 This 15-day tour takes you to the near-mythical Balinese artisans’ town of Ubud, and includes cycle rides along small local roads near the Batur volcano. 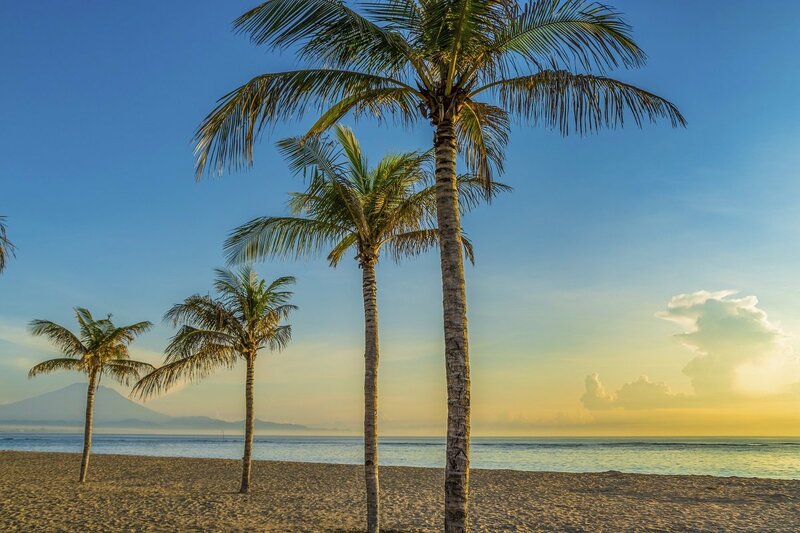 It also lets you experience the unspoiled national park in the north-west of the island, incredible snorkelling off Menjangan Island, the world-famous rice terraces at Pupuan, magnificent temples and the delightful beaches of Sanur – all imbued with the serene tranquillity that distinguishes the Balinese people. On arrival in Bali, you will be issued with your visa at the airport and can then collect your luggage. 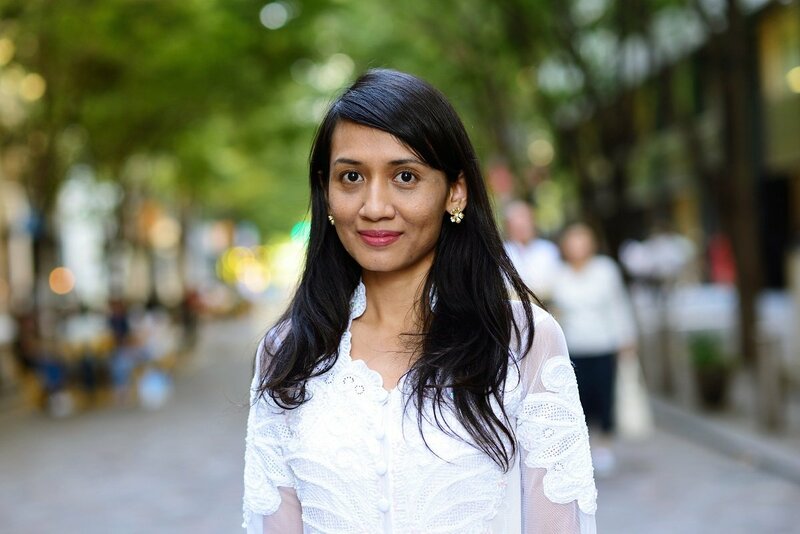 You will be met in the arrivals hall by a guide holding an Asiatours sign, who will accompany you to your hotel in Ubud where you will be spending the next five nights. When you arrive at the hotel, you will have time to rest after your long trip and the remainder of the day is yours to do with as you wish. Ubud is located in the highlands, around an hour’s drive from the airport and the capital city, Denpasar. 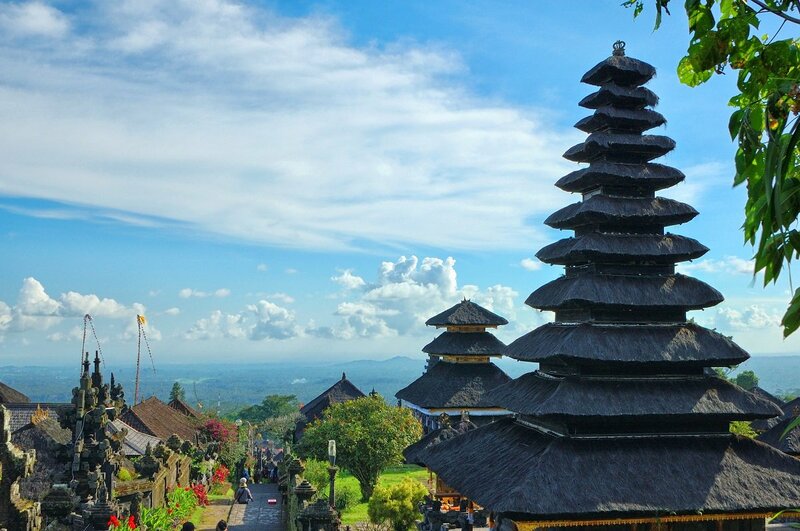 The city is considered to be the cultural powerhouse of Bali, a place where arts and crafts are accorded the highest priority. Ubud enjoys a truly beautiful location in the verdant mountains cut by deep valleys – which can almost be classed as gorges in some places. 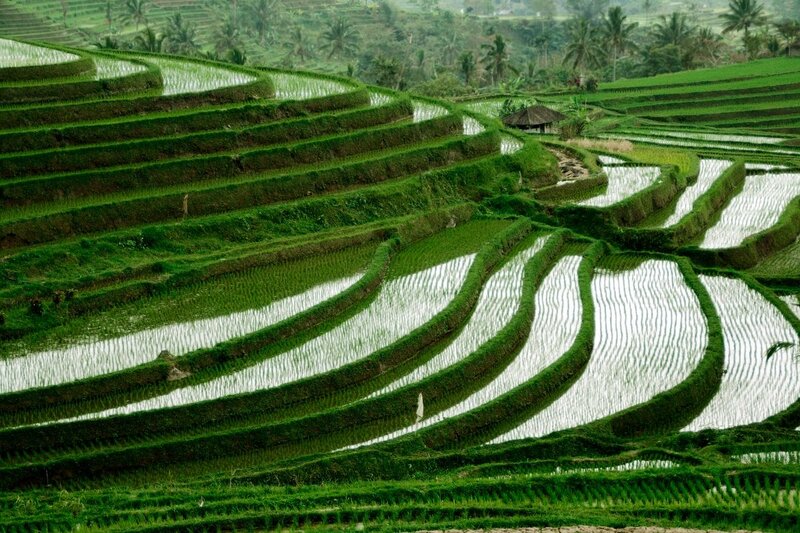 Behind the buildings, you are sure to catch sight of rice terraces in the distance. After breakfast and a gentle start to the day, it is time to ease into a string of wonderful experiences. 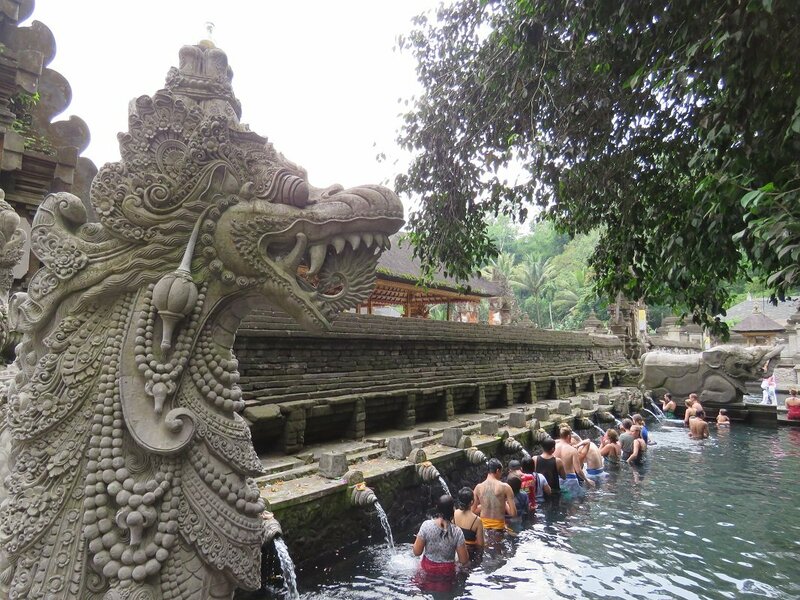 First on the list is a visit to Tampaksiring, home to the Tirta Empul temple, which is located next to 12 holy springs. 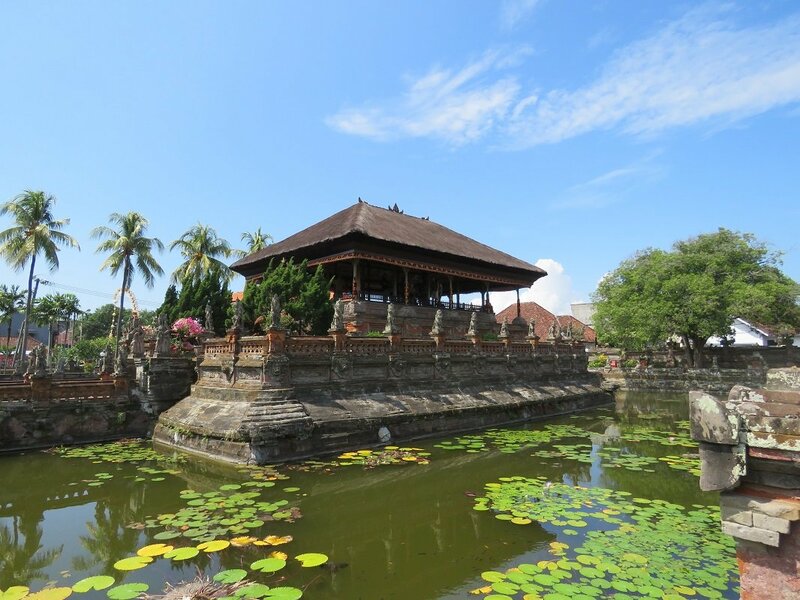 The Balinese people flock to the temple to make offerings to their gods, and many of them also bathe in the holy water. In the Hindu temple, you and your guide will make a small offering of your own, in return for a blessing for a wonderful visit to and holiday on Bali. 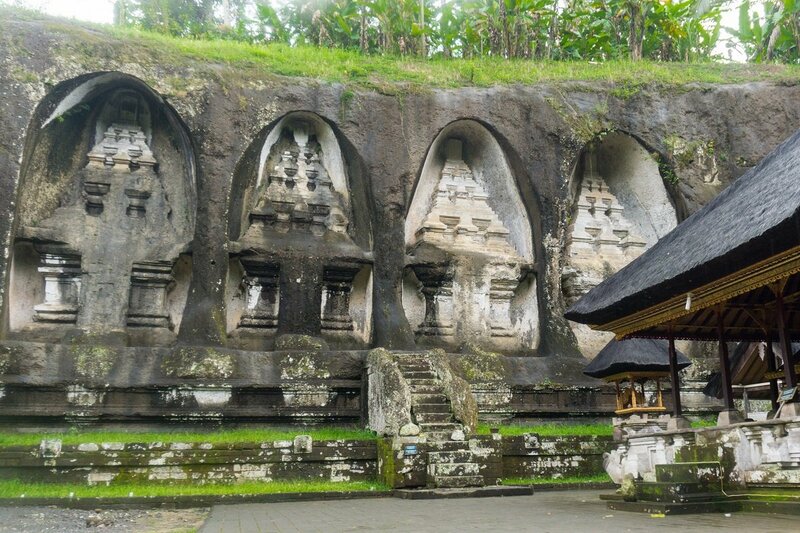 You will then move on to the old royal tombs at Gunung Kawi, which date back to the time when Bali was an independent kingdom. 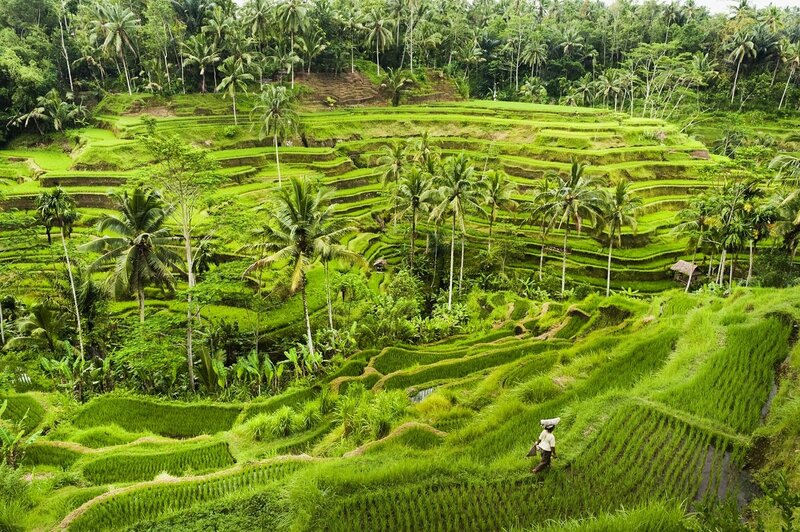 Your itinerary subsequently takes you to two or three of the numerous artisans’ villages on the outskirts of Ubud. Each village has its own specialist craft: Mas is home to the wood carvers, Batubulan is famous for its stone cutters, and Celuk is where the silversmiths ply their trade. 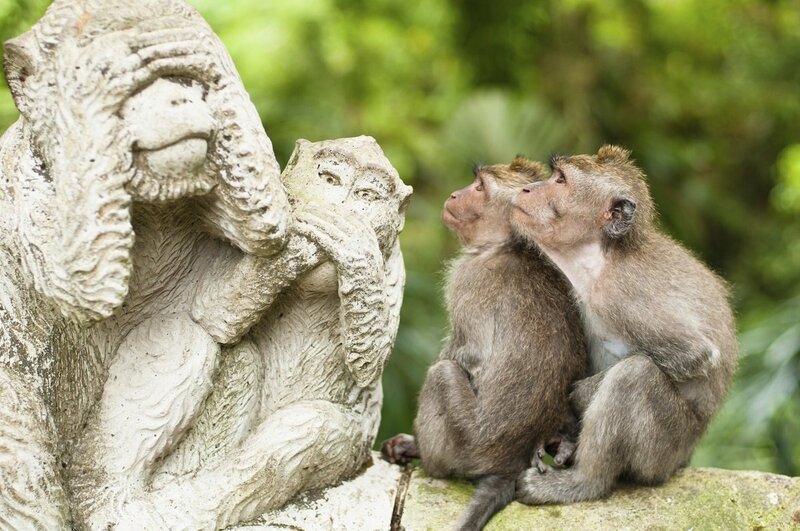 The day’s sightseeing finishes off with a walking trip through the famous Monkey Forest of Ubud. 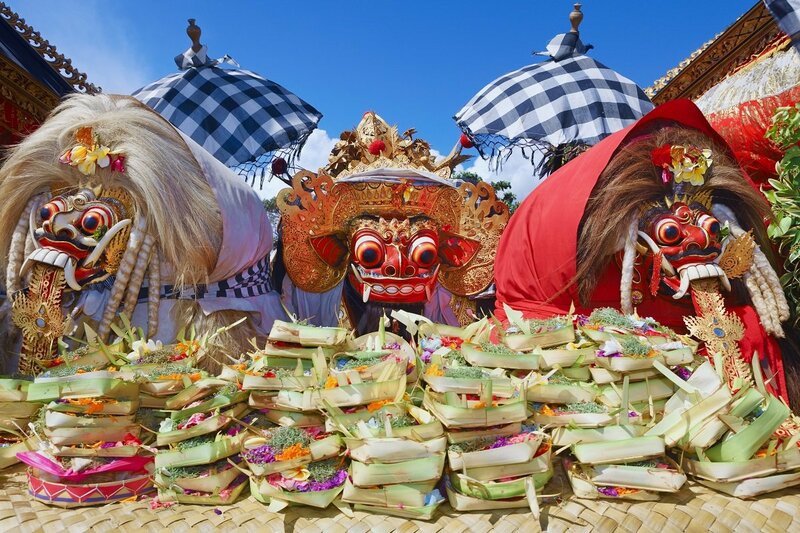 The day is devoted to the cultural attractions of Eastern Bali. The first stop is at Besakih, the most important and most sacred temple in the country. From here, you continue on to the village of Tenganan, home to the Bali Aga people, considered to be the indigenous people of Bali who made their home here before the Hindu-Javanese settlers arrived. The village is also famous for its special weaving technique, and you will have the chance to buy some beautiful, hand-woven fabrics. The last port of call today is Kertha Gosa, the old ‘palace of justice’ in Klungkung. It is also known as the floating pavilion. The ceiling in this open building is decorated with a variety of images, including some that show what will happen to you after you die unless you live a respectable life. You will return to the hotel late in the afternoon. 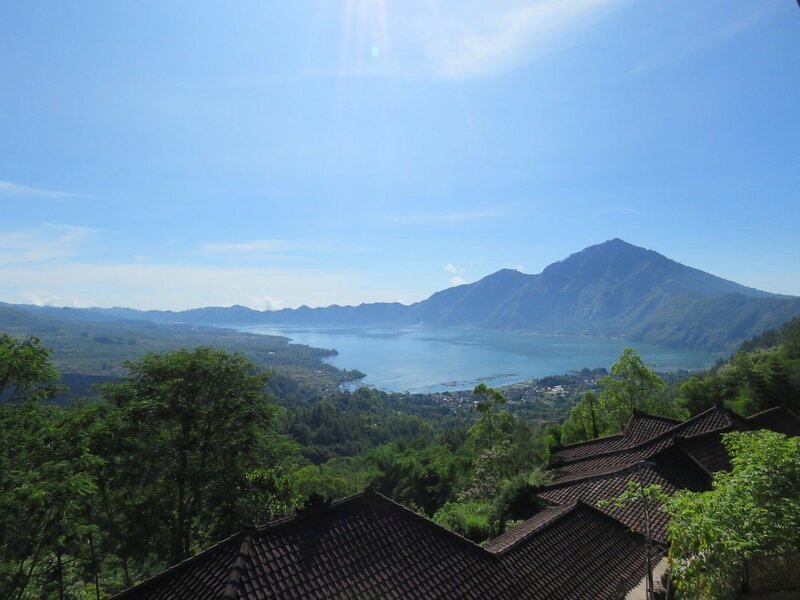 Your guide will pick you up from the hotel in a car and accompany you to Kintamani, which provides a spectacular panoramic view out over the active Batur volcano and the crater lake. It is also the start of an exciting cycle ride – mainly downhill! The route leads past paddy fields and through small villages, giving you the chance to experience everyday Balinese life at first hand. For example, you will stop at a plantation where you will have the opportunity to see and taste a variety of herbs, spices, vegetables, tropical fruits and Luwak Coffee – the most expensive coffee in the world. 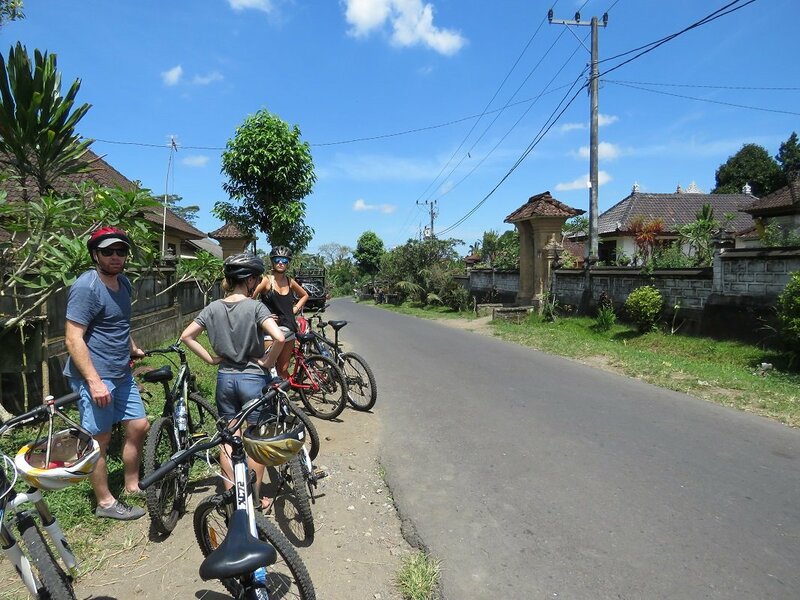 There will also be time to stop at various points along the route to admire unusual views taking in paddy fields, a banyan tree and a village temple, and what is more, you will have the opportunity to visit an authentic Balinese home. This tour really gives you the chance to experience Bali ‘off the beaten track’. You will be accompanied all the way by a support vehicle, so you can choose to ride in style if you have had enough of cycling for one day. Lunch is included in the trip, and will be served in a restaurant surrounded by fertile paddy fields. You will return to Ubud around the middle of the afternoon, and the rest of the day is then yours to do with as you wish. The day is yours to do with as you wish. Make the most of this opportunity to explore the charming town for yourself. For example, visit some of the fascinating galleries and museums, where you can admire collections of contemporary Indonesian art. 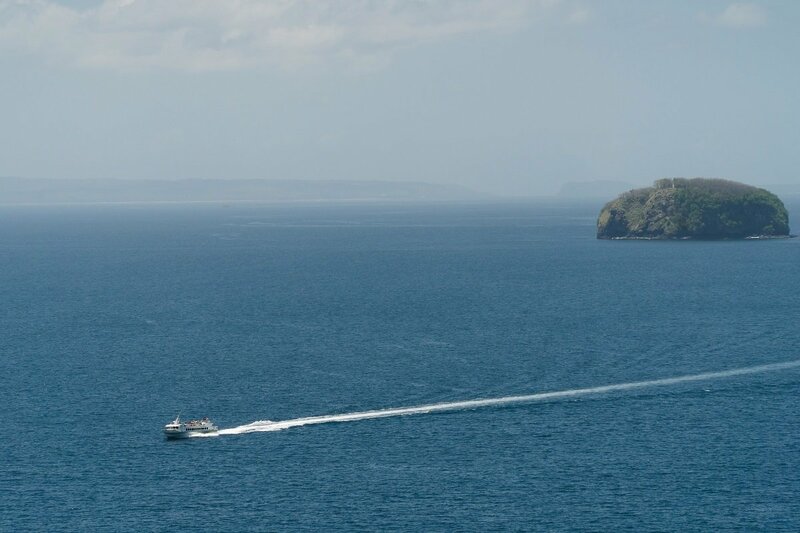 After breakfast, it is time to head off to the north-west corner of the island. It is a long drive, but there are plenty of experiences to enjoy en route. 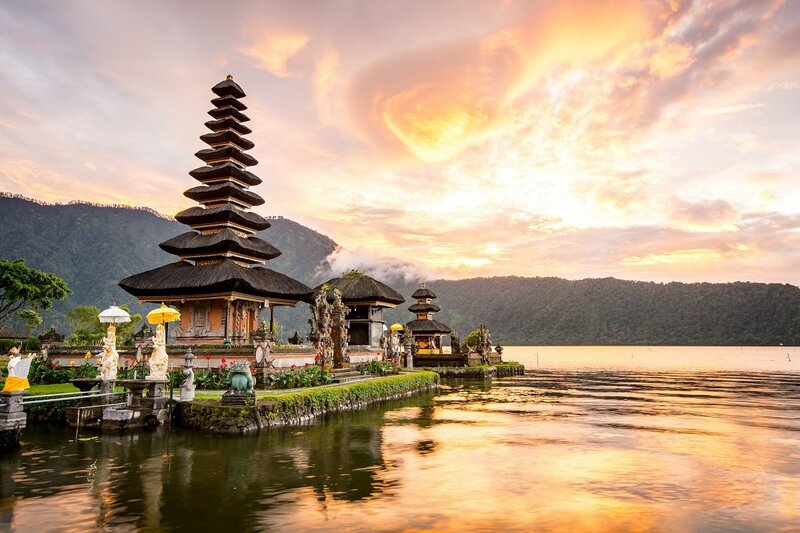 For example, you will visit the local fruit and spice market in Bedugul and stop by the fairy-tale Lake Bratan, whose waters surround the magnificent Ulun Danu temple. 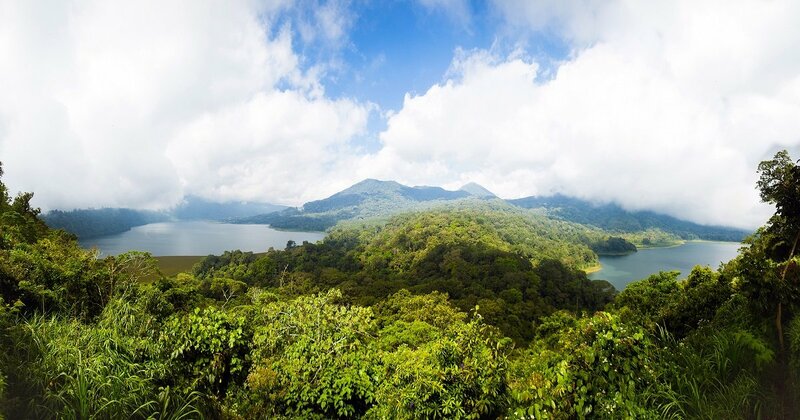 Later on, you will pass the twin lakes of Tamblingan and Buyan, and when you reach Munduk, you will head off the main road for the chance to admire the breathtaking view. 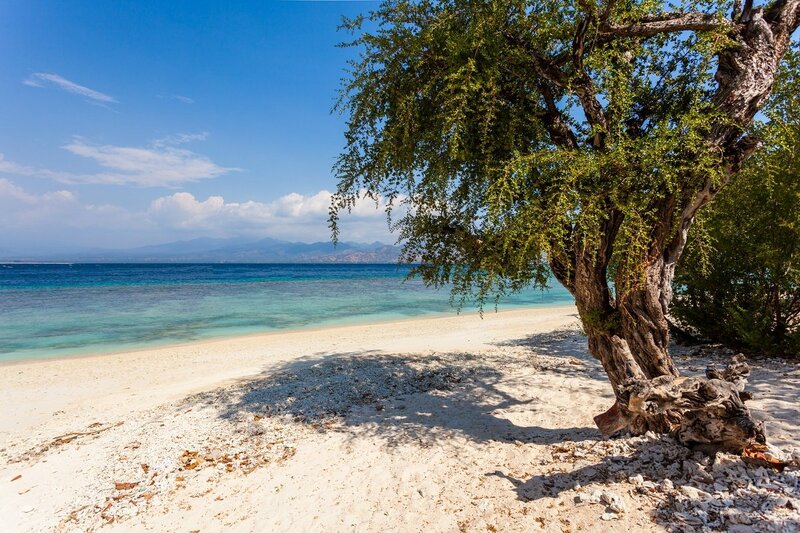 From here, you will drive to Lovina, from where you follow the coastline to the charming and remarkably tranquil village of Pemuteran, located right next to the famous national park. 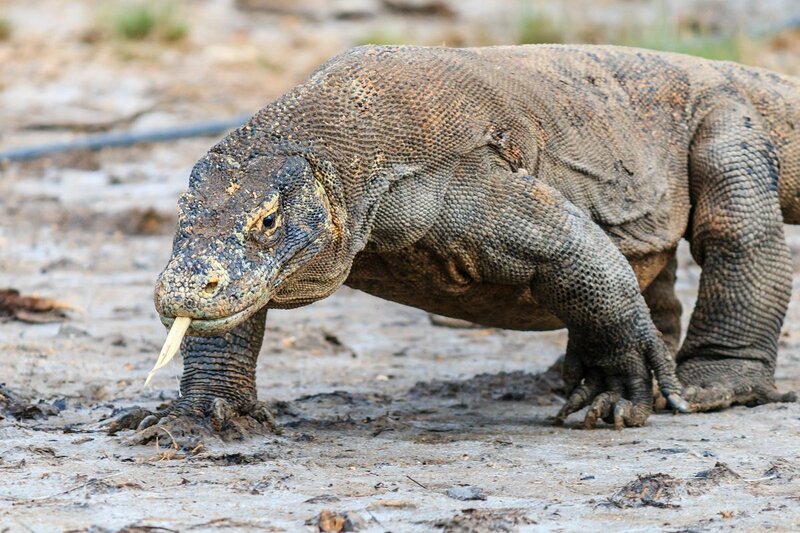 One of the highlights of the whole tour is today’s visit to the magnificent Bali National Park, combined with the opportunity to go snorkelling off Menjangan Island. The trip starts with a 3-hour trek. The going is easy, and the walk is no problem for anyone who is reasonably fit. On the trek, you will be accompanied by a park ranger/nature guide, who will tell stories and provide explanations en route. The park is the habitat of the beautiful but severely endangered Bali Myna bird, which is endemic to Bali but unfortunately in great demand among bird collectors all over the world. As a result, individual birds are traded for thousands of dollars on the black market. The park authorities are working actively to preserve the bird’s natural habitat and to release more birds into jungle to boost the small, wild population. As you walk, your guide will point out different animal tracks, and you may be fortunate enough to spot butterflies, deer, reptiles, birds or some of the large groups of long-tailed black monkeys. Wildlife is, of course, unpredictable, so it is impossible to say whether you will spot any of these animals – or which ones you are most likely to see. After the trek, lunch (in the form of a packed lunch) will be served and you will have time to rest for a while before boarding a local boat that will sail you out to the spectacular and world-famous reef off Menjangan Island. 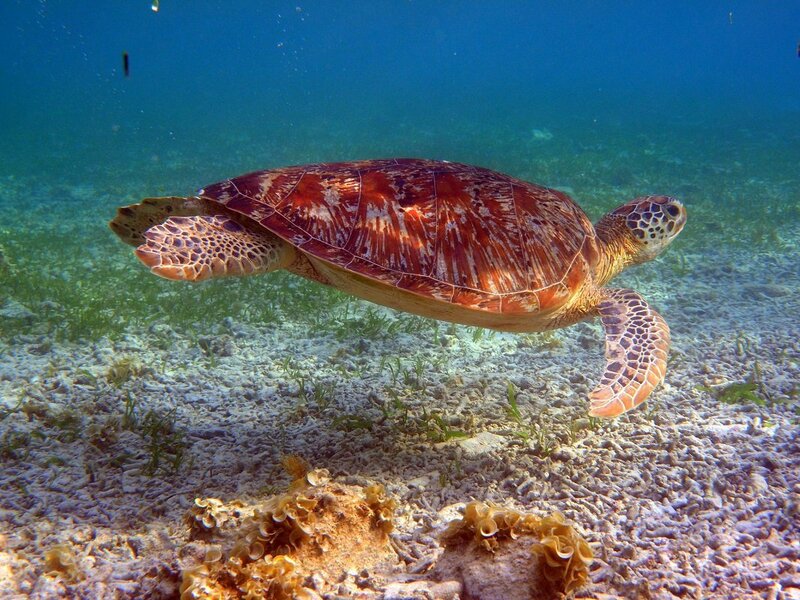 The reef and the marine life it hosts are recognised by both divers and snorkellers as being absolutely world class. 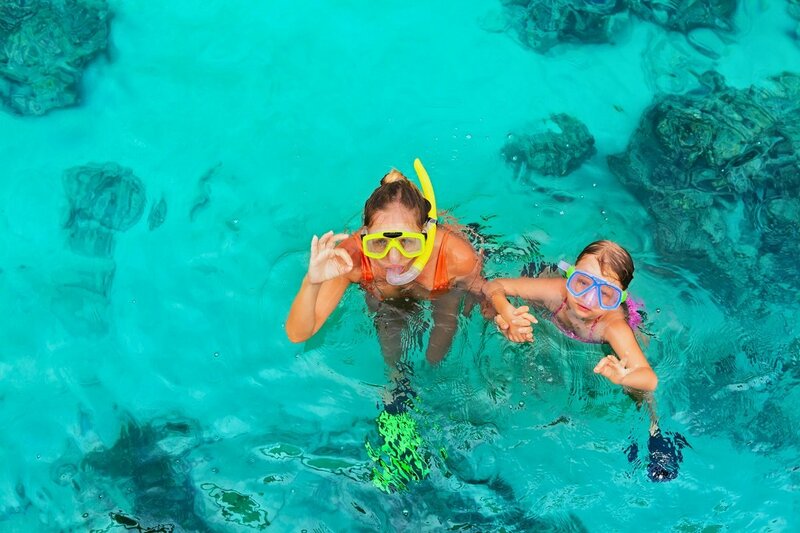 Your snorkelling guide will show you around in the water, pointing out and talking about the fish, shellfish and different types of coral. Snorkelling equipment and a simple packed lunch are included. You will return to the hotel towards the end of the afternoon. Enjoy breakfast at your own pace in peace and quiet at the hotel. The day is yours to do with as you wish; for example, you can make the most of the hotel facilities such as the delightful swimming pool. You can also indulge in a massage and a relaxing spa treatment. After breakfast, it is time to bid farewell to this beautiful, untamed corner of Bali. 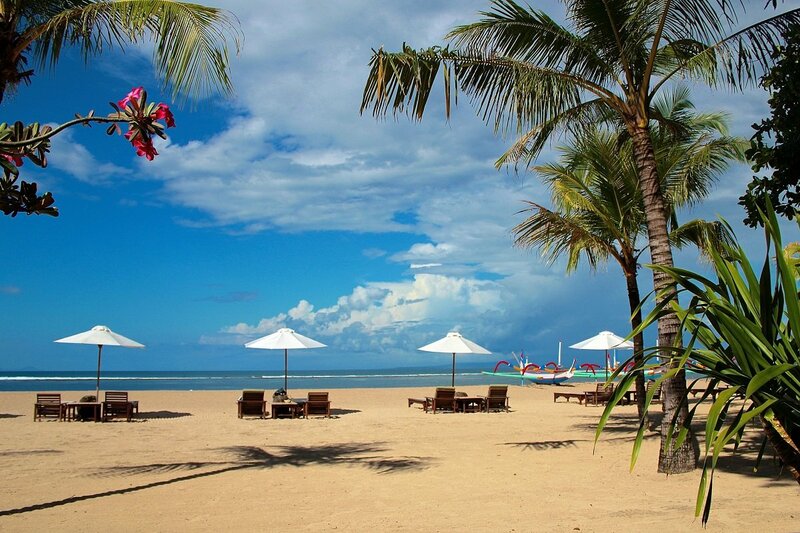 Ahead lie several days of serious relaxation on the beach in Sanur. 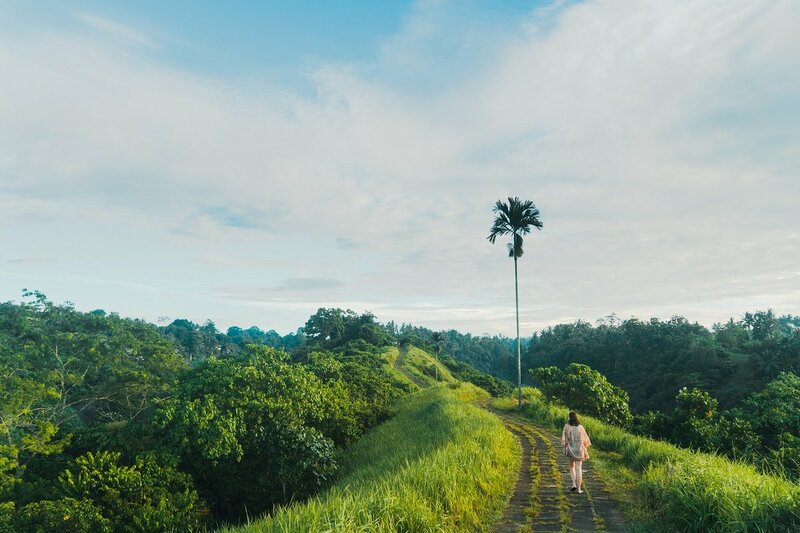 Once again, your drive to Eastern South-Eastern Bali will take you a little way off the beaten track, allowing you to enjoy a rewarding and varied trip through mountains and valleys, rural areas and villages. Your route takes you along small roads that few tourists get to know. One of the highlights of the trip is sure to be the drive through Pupuan, where age-old paddy fields are still cultivated to this day. 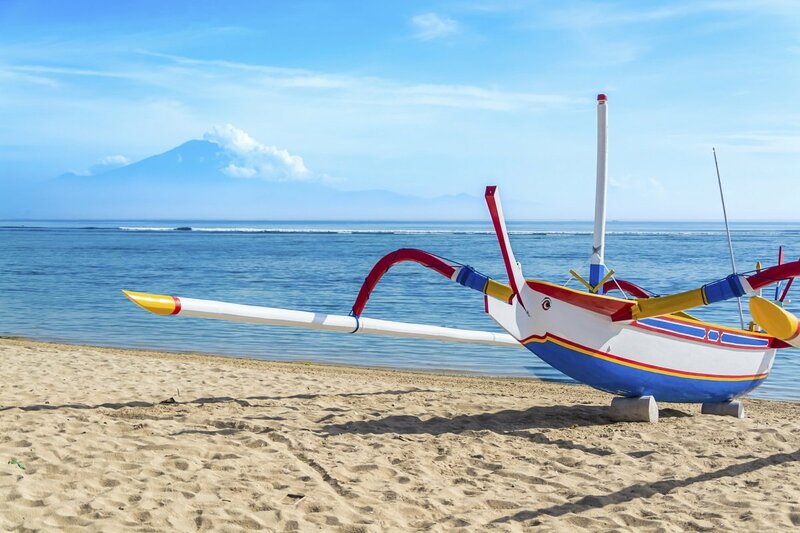 Towards the end of the afternoon, you will check into your hotel in Sanur, where you will be spending the coming four nights. These days are yours to do with as you wish. Relax by the pool at the charming resort, stroll through the town and experience temple ceremonies, enjoy authentic Java coffee at a pavement café, book time for a little indulgence at a local spa, or simply curl up with a good book in the shade of a palm tree. There are plenty of options, and the choice is yours. 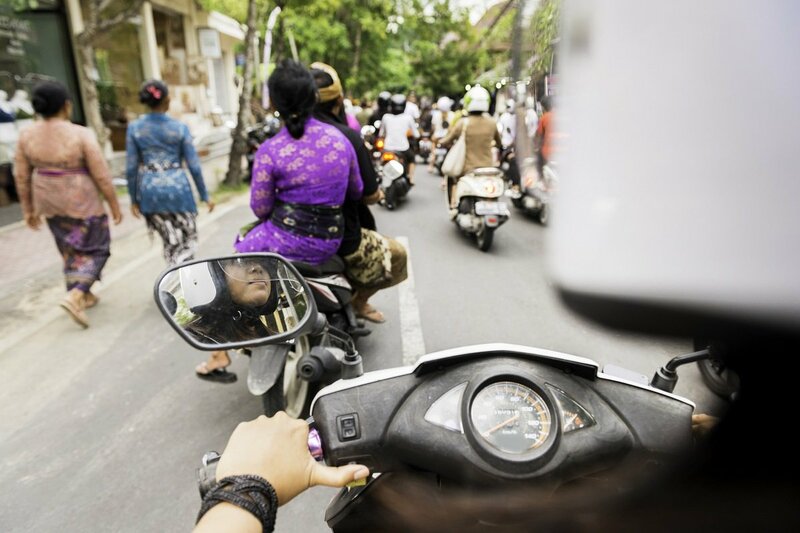 You will be driven to the airport in Denpasar to catch your flight to the UK, with connecting flights along the way.